With the new year in full swing, the executives of Veridium, a company that is helping to secure enterprises with the use of password-free, multi-factor biometric authentication, take a deeper dive into the industry trends we're set to see in 2019. As the world becomes increasingly digital - yielding a rise in data breaches - traditional forms of authentication, such as passwords alone, are no longer enough to ensure security. To protect against this, companies are being advised to institute a multi-factor authorization (MFA) cybersecurity system. While that sounds more secure in principle, traditional 2FA has not reduced the devastating breaches we read about almost daily. One solution is to integrate biometric authentication into your identity access management strategy to provide employees with a slick, single-step, secure login process. Unlike other 2FA solutions, this route eliminates the most vulnerable aspect of logging on, relying on what you know, which is typically a password. However, when you substitute that with biometric authentication, employees can expect a secure and convenient password-free experience from the moment they log on to the moment they shut down. Not only is biometric authentication more secure, but it eliminates the costs associated with tokens and password resets. At Microsoft, they spend over $2 million in help desk calls a month to help people change their passwords. Given the benefits of biometric authentication, we're poised to see an uptick in adoption and advancements in the technology in the year ahead. According to John Callahan, CTO of Veridium, "In 2019, we will see advances in mobile biometric sensors. The industry has dipped its toe in the water in regard to fingerprint sensors being placed underneath phone screens as a solution to eliminate the "home button," expect to see these screen sensors cannonball into becoming the norm. We may even see Samsung extend their capability with Iris beyond phone unlock and Samsung apps. There will be a battle as to which biometric is best, face or fingerprint, with focus on usability rather than performance rates, which ultimately will come down to user preference as to which is more convenient for individuals and fits better with their use cases." 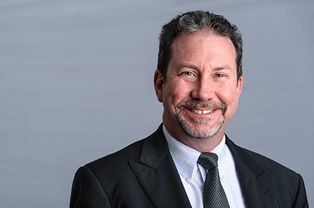 Todd Shollenbarger, Chief Global Strategist at Veridium notes that, "In 2019, there will be continued consolidation of companies in the security sector, especially for those that have developed technologies that relate to Digital Identities (DIs), including the on-boarding of individuals behind the DIs, the authentication of the individuals behind the DIs (MFA), and the continual management of privileges and access (IAM). Moreover, not long after 2019, "physical" access and "logical" access will merge. Stated differently, companies which currently leverage mobile devices to provide physical access are well positioned to compete with enterprises that are focused wholly or mainly on logical access. Consumers will drive this, especially with the growth of IoT." 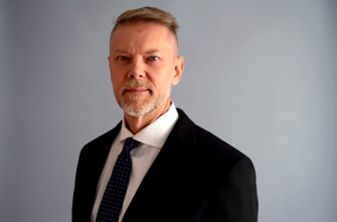 Previously a partner at White & Case, with over 20 years of professional experience in both the United States and Southeast Europe, Todd Shollenbarger oversees global strategy at Veridium. With a specialization in corporate law, he has led numerous large-scale transactions over the years, including privatizations, private equity, emerging market equities, foreign direct investment, corporate finance and joint venture projects. Todd is also a Certified Public Accountant and holds a JD from Pepperdine University School of Law.